Indium Corporation will be featuring Heat-Spring® for IGBT Assembly at PCIM. Indium Corporation's Heat-Spring is a compressible soft metal shim that serves as a thermal interface between the baseplate and heat-sink to ensure maximum heat transfer in IGBT and high power module mounting applications. Heat-Spring is designed to fulfill large-area thermal transfer requirements with metallic transfer properties of up to 86 W/mK. Heat-Spring is easy to use and offers superior conductivity as compared to thermal grease alternatives. In addition, Heat-Spring will not bake out or pump out, optimizing long-term performance consistency and eliminating the rework process. Heat-Spring is reclaimable and recyclable, and can be packaged in custom trays or tape & reel. 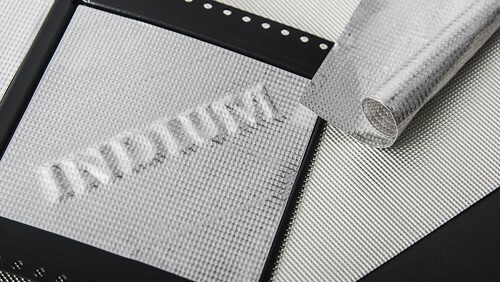 Indium Corporation also offers custom packaging options as needed. Heat-Spring is just one of a wide range of Indium Corporation solders and TIMs for IGBT assembly. For more information, visit www.indium.com/thermal-interface-materials/heat-spring or visit Indium Corporation at booth 7-441.